We celebrate birth, and we fear death—yet anyone who has been present at both great mysteries will know the quality of awe is exactly the same. What do we really know about dying? These days, few of us have firsthand contact with the astonishing moment of death. Most of our understanding comes from fictionalised accounts—often sensationalised, melodramatic or sentimental. Unless we hear true stories about what it is to approach death, we may be stuck with fearful guesses. In these interviews with seven dying Australians we have the authentic testimony of those who are facing the sobering reality. A 17-year-old girl who has battled cancer more than half her life realises her time has suddenly run out—and exhorts us to love. An old man, a refugee from a communist regime in his youth, is given little time but relishes the life he has left. A woman in old age tells of the life-transforming effect of a near-death experience when she was 29—and why it has left her with no fear of dying. These are seven different people, from different backgrounds, with different views. Here is a brave, insightful and, believe it or not, lively opportunity to enter the worlds of seven people who know they are dying. 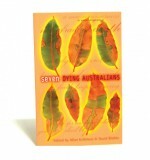 Seven Dying Australians is not only a book for those who work in palliative care. It is a book for anybody seeking to reflect on the nature of mortality, and it is an essential resource for human services workers, social work educators, teachers, carer support workers, and grief and loss counsellors. I read the book Seven Dying Australians published by your organisation and am deeply touched by the seven accounts that the dying Australians have revealed. I’m a third year psychology student and am making some plans on my Honours project for next year. I have a deep interest in end-of-life care and especially looking at the psychosocial needs of dying patients, their caregivers, as well as health professionals. 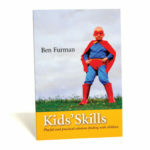 Hence, I find this book most enlightening and inspiring. This book brings a glimpse of seven individual lives—seven Australians facing the prospect of their own death. They were given a series of questions to ponder: How do you understand this time in your life? What surprised you about this situation and what didn’t? What lessons do you feel you have learnt from this time? 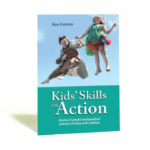 Knowing what you know now, what would tell others about the confrontation with mortality? I thoroughly enjoyed reading the narratives. They made me wonder just how much more the dying patients that I work with might have to tell me if only I could spend more time with them. And they reminded me that there is always room for improvement in the way we accommodate the needs of those facing death. Anyone who works in hospice and palliative care will be richer for reading this little book. Bruce Elder, ‘Seven Dying Australians,’ The Sydney Morning Herald, Spectrum, 10 January 2004, 17. Nobody buys a book on death and dying as an ‘impulse purchase’. Books like this are for people needing to find solace and a shared humanity in the stories of others. To know that our experience is not unique can make the pain of death bearable. 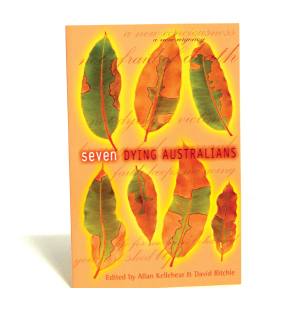 Allan Kellehear and David Ritchie have interviewed seven Australians. Some are dying. Some are living with dangerously unpredictable illnesses which may cause death. The stories are all painful, difficult and oh-so-human: a teenager who has grappled with cancer for years; a woman living in a nursing home and approaching death; a man dealing with HIV; an Aborigine dealing with a family history of heart disease; a 73-year-old with cancer; a person suffering from motor neurone disease; and a woman who recounts her near-death experience. This is not a book for everyone. There are people who know they need to read it.